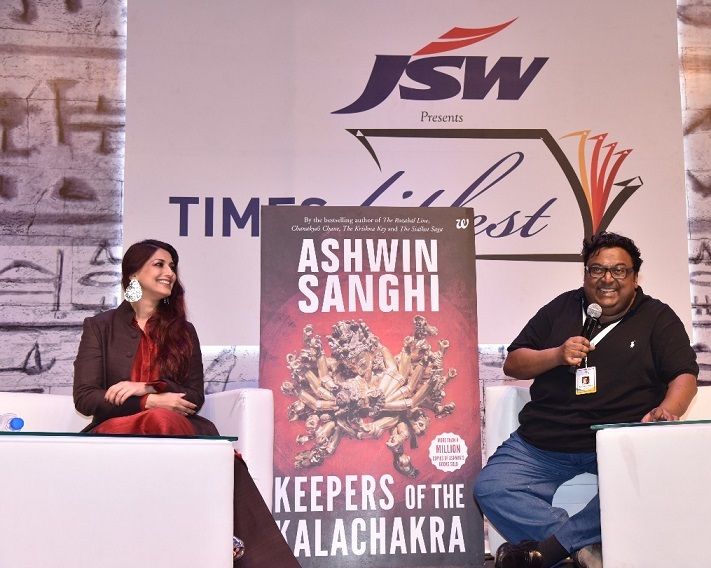 Celebrated author Ashwin Sanghi launched the trailer of the highly anticipated Bharat series book ‘Keepers Of The Kalachakra‘ at Times Literature Festival, with actor Sonali Bendre gracing the event. 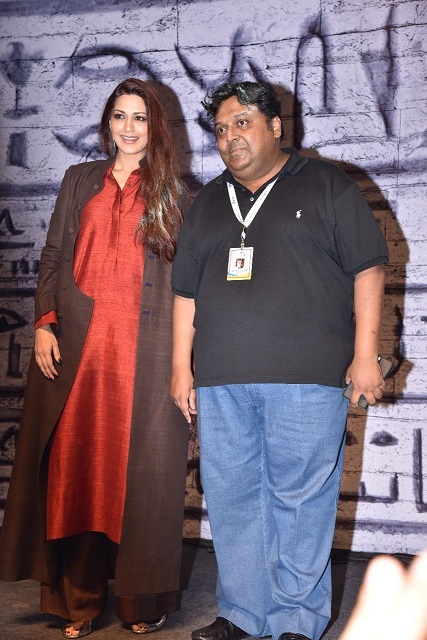 Ashwin along with Sonali unveiled the powerful image of the Kalachakra with this intriguing trailer. Ashwin Sanghi ranks among India’s highest-selling authors of English fiction. He has written several bestsellers (The Rozabal Line, Chanakya’s Chant, The Krishna Key, The Sialkot Saga), a New York Times bestselling crime thriller called Private India (and its sequel Private Delhi), together with James Patterson. Sanghi has also penned a non-fiction title, 13 Steps to Bloody Good Luck and co-authored 13 Steps to Bloody Good Wealth. He was included by Forbes India in their Celebrity 100 and is a winner of the Crossword Popular Choice Award. Sanghi describes a world of people at war with the other, in a boomeranging conflict of faiths that results in acts of slow, planned human cruelty that defy human imagination. Caught in the midst of this madness is Vijay Sundaram, a mere scientist, but one primly aware that the zone outside his laboratory is stretched taut and close to being torn apart by two widely divergent and malignant forces that he wants no part of. But events conspire to propel Vijay into the secret and shadowy world of Milesian Labs, located deep in the forested hills of Uttarakhand. What he finds is an ancient secret that has terrifying potential, one that modern scientists are still struggling to develop. Trapped and wholly unaware of his actual foe, Vijay races against time to save humanity—and himself. 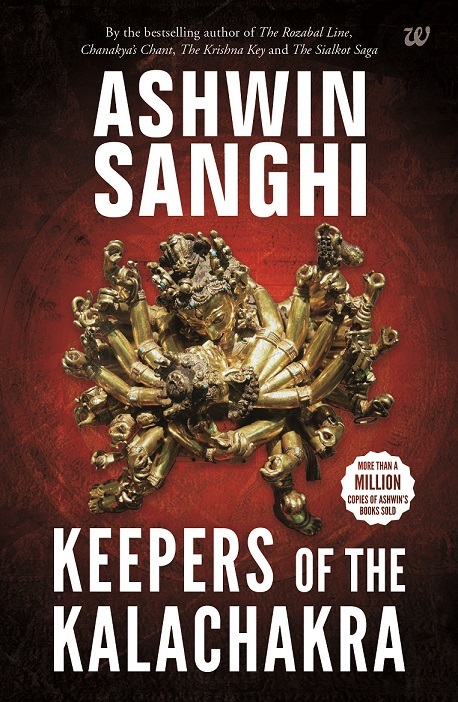 Master storyteller, Ashwin Sanghi, seamlessly weaves history, science, theology, mythology, politics and philosophy to bring you an exhaustively researched whopper of a plot while dangling you over the edge with this thrilling multidimensional narrative. Swirling from Rama’s Lanka crossing to the birth of Buddhism; from the origin of Wahhabism to the Einsteinian gravitational wave detectors of LIGO; from the charnel grounds of Tantric practitioners to the Oval Office; and from the frankincense-imbued rites of Minerva to the ravaged ruins of Nalanda, Keepers of the Kalachakra is a breathless journey that will leave you gasping for more until all pieces of the jigsaw come together to reveal a profound truth that you simply did not see coming.